Atleast three different outfits and not a skirt in sight! Hopefully this is a sign they are breaking away from full on fundiedom in their married life. Some quite defrauding tops on her too. Also, Alan's body language hardly screams honeymooner. He looks uncomfortable with Rachel, or perhaps just infront of the camera. In the shot of them kissing by the waterfall, would it have killed him to hug his wife? They're probably still fundie just relaxed about some things. The Beasleys are like that too. I think that whole group is. They all seem to be completely crazy but have these little modern things they do. She looks so happy, you're right though he looks super awkward! My exact thoughts. Also, contrast the captions "So happily married" with his body language. At least she appears genuinely happy, and dressing well. She's so gorgeous and he's so...distant. He looks like he's faking his smile in every picture. At least she's having fun though. I'm just trying to remember...did he look awkward or happy in the engagement/wedding photos? Seeing as how Christopher Maxwell took the photos they both looked like a dull shade of grey. She looked happy, he looked awkward, but I'm starting to think this is his default pose. If that's the case then it probably is. I couldn't remember if he'd looked happier before. Everything about that man screams closeted gay to me. At first I thought maybe he was just awkward. Not so sure anymore. She's obviously crazy about him, though. She looks great. She reminds me of a catalog model in those pictures. Ppl! He's just giving the camera some straight-up Blue Steel. Also: How did they shrink themselves down to fit into that chair? zomg! Last thought: Yeah, you'd think he'd try a little harder to look like he was more into her for the pics. She looks totally pretty and happy in those shots, and assuming he's straight you'd think he wouldn't have trouble looking like a lucky fundie guy. I don't follow these folks, the NIKE intrigued me .... and didn't want to be the first to say the part about the closet. Maybe he's straight as a string - maybe something's wrong with his right arm; he sure doesn't seem to be able to do anything with it. Also maybe he has trouble with balance, and that's why *she's* the one always leaning toward him, showing her affection and affinity in her body language while he ... doesn't. Maybe he's just being all manly, non-emasculated man and not showing dreaded emotions. Maybe it's "force of habit"--not being able to touch or act attracted to anyone?? Agree, he looks really uncomfortable - rigidly controlled, defensive, as if she's too far into his body space and he can't cope with it. She's the one clinging to him, he's not leaning into her. Bet if the photos showed his feet, they'd be pointing away from her. On the kiss photo by the waterfall, he's warding her away from his pelvic area with that knee, and she's pulling him into the embrace. Also pings my gaydar . . . I'm from CO so maybe I'm spoiled, but the sand dunes and the Royal Gorge seem like a bummer of a honeymoon. I feel so sad for beautiful Rachel Wissman. There is no way I can put a positive spin on this one after looking at the pictures. Has Alan never hugged another human being? Even if he is gay, the gay men I know can be affectionate with females. Even if it is his standard manly man pose, it doesn't bode well. Can you imagine being that good looking and living to the age he is without ever hugging or kissing a woman? If he's not gay, he must have learned to shut down a part of himself, and it would be difficult turning that part back on. Maybe he's really awkward and he still doesn't know how to act "normal". If there was nothing unusual about his personality or behavior and he wasn't gay, it seems like he would have been married years ago. He looks natural and loving here. He's a good looking man who takes a bad photo. One of the Creaky Kids is that way. Gorgeous hunk. Women fall over themselves to be near him - has even been approached to model. But in every darn picture of him, he just seizes up looking really dorky and uncomfortable. I think Alan is just more at ease with a tractor in the back section. You have to acknowledge a closet exhists before you can be in it. I wonder about the CO connection with the fundies. I guess it's a state with a strong fundie center (Focus on the Family is HQ'd there). Plus, there's all that hiking, outdoorsy and wholesome family fun. Not like the pagan Disneyland or defrauding Carribbean beaches. They look like they are having fun. The guy do look uncomfortable. Maybe he's so used to not being close to a woman that he's still getting used to having one hug him. He's quite older than most fundie newly wed so he's really set in his habits by now. She looks happy enough so that's good. I hope the two are good for each other. maybe he is uncomfortable in front of the camera in those staged sort of touristy type photos. more action, photo journalist type shots can be better for some people because they don't feel like a chump standing there smiling wondering if they are making that weird face or blinking. Kirstina's friend Courtney wrote in her blog after her honeymoon that it was weird to go out the next day holding hands in front of people. Since they equate any sort of touching with being married and with (whispers) "relations", being affectionate in public (and having it captured on camera) may feel too intimate, and may make them feel too exposed. Perceptive, charitable observation/guess -- and possibly very true! What a thing ... in 2012, for a free (plausibly) man or woman to have to feel that way. Weird because if you look at their courtship and engagement pictures, it appears they were allowed to touch--they just didn't kiss until their wedding day. My guess is that Alan doesn't like being in front of cameras and it shows. Then again, if anyone read their courtship story, the awkward definitely shows. Doesn't know a damn thing about her-talks to her briefly at one of the shows, calls up the father, Rachel accepts courtship-BAM, 2 months later, engagement. The Wissmann family are a bunch of odd balls. 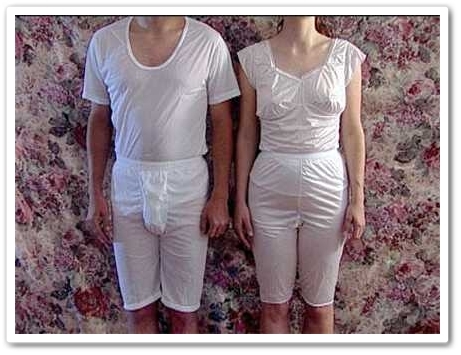 They spew fundie views yet seem pretty relaxed with attires and touching during courtship. Correct me if I'm wrong, but I do recall on Rachel's fb, not too long ago, that I saw she liked NGJ facebook page. Umm, huh?